Home Clothing Learn Your Linings! So, you’ve made the decision to invest in a proper pair of wellies but you’re unsure which ones you should buy. You know your style, but what about the specifics; which welly’s which? Which lining is right for you? 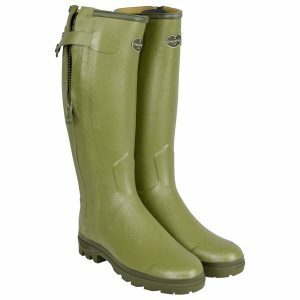 Well, we here at Philip Morris & Son are here to dispel your welly woes! Put your feet up as we explain everything you need to know about welly linings. Both in our store and online we stock brand leaders such as Le Chameau, Barbour and Hunter. 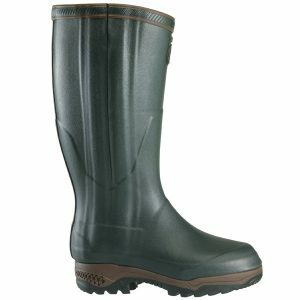 Each manufacturer has their own unique way of producing their wellingtons, choosing to focus on various needs of your feet. A carbon lining in a wellington acclimatises to your body temperature, meaning it will keep your feet warm in winter and cool in summer. Hunter wellingtons adopt a moisture-wicking bamboo in their carbon lined boot, which wicks away any dampness that may occur during use. 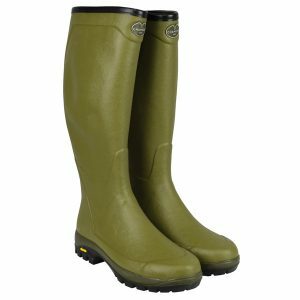 Cotton lined wellingtons provide comfort for your feet. 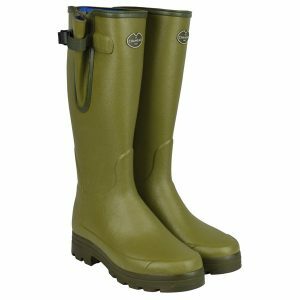 Generally people would wear this type of welly for everyday use. The lining will keep you cool during the summer, making this type of wellington perfect for festivals and those busy country fairs. People who feel the heat will find these a cool comforting alternative. However, others may find these need to be layered up with thick welly socks for use in the autumn and winter. Gore-Tex (GTX) is a 100% waterproof membrane which has been scientifically formulated to be a breathable layer, allowing any perspiration out of the boot without letting any outside particles in. 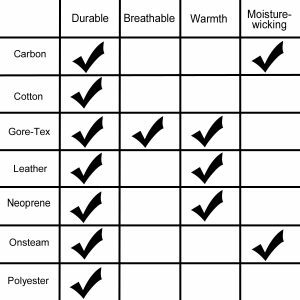 You won’t find Gore-Tex linings in traditional rubber wellingtons, because the rubber prevents the Gore-Tex breathing, instead it is often paired up with either a leather outer, which as a natural product allows the Gore-Tex to wick away moisture, or a hardwearing high-tech fabric like Cordura, which again allows the wicking process to function. Gore-Tex linings mean you have a very different look to a conventional wellington, but for performance they are hard to beat. A leather lined wellington offers you not only a luxurious look and feel, but also comfort and insulation. Leather lined wellingtons tend to be suitable for wear all year round, as they keep you cool in the summer and are easy to layer up. 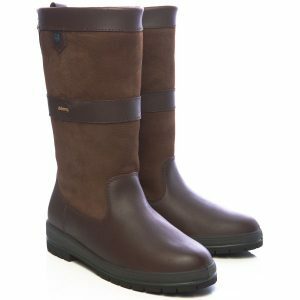 As with all leather products, a leather-lined wellington offers you a tough and hardwearing piece of footwear, effortlessly combining quality with durability. 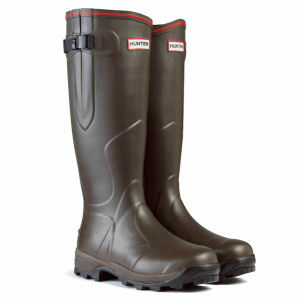 Le Chameau, for example, uses a thick and supple full-grain calf leather from exclusive French and Italian tanneries. Neoprene is the synthetic rubber material used to make wetsuits, and recent years have seen high-end welly manufacturers adapt this technology to line their boots. As you would expect from wetsuit material, neoprene linings help keep your feet incredibly warm by utilising your natural body heat. In addition, it also provides an extra layer of comfort and an elastic memory. Generally two thicknesses of neoprene is offered, with the likes of Le Chameau and Hunter offering a choice of 3 mm or 5 mm. Le Chameau have tested the strength of their neoprene wellingtons, with the 3 mm suitable for temperatures down to -15oC, whilst the extra thickness of the 5 mm would enable you feet to survive all the way down to -25oC. If you’re looking for wellingtons to use in the cold winter months, or if you suffer from poor circulation in your feet, then neoprene may just be for you. Onsteam is a brand new lining which has been developed by Le Chameau. The beauty of Onsteam is that it helps keep your feet and the inside of your boot dry, no matter the situation. The perforated micro-fibre absorbs and dissipates any humidity produced by your feethe Onsteam lining enables the wellington boot to regulate the temperature, providing a much more comfortable experience. The material is extremely durable and offers a high level of resistance to any abrasive surface that you may encounter. It is also anti-allergenic whilst helping to inhibit odours, which could be a welcome quality in the summer months. In many ways this lining is similar in function to carbon, although achieved with a very different material. As with all polyester products, these linings are extremely strong and durable, and also resistant to abrasion, stretching and wrinkling that may occur when in use. Polyester is a synthetic fabric, which is both quick drying and shape retaining; it can also be mixed with cotton for extra comfort as is seen in Aigle Parcours. 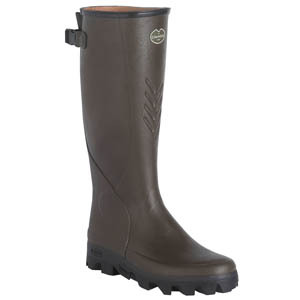 A polyester lined wellington offers you a boot which will keep you cool and is suitable for wear all year round. So there you have it, a whistle stop tour around the various linings available in wellingtons. You may feel that you fit in to more than one category and have various needs; should this be the case it may be worth considering having different boots with different linings for summer and winter. If in any doubt it’s always worth trying on a pair of wellingtons to ensure they really are right for you – pop in to our country clothing store where one of our staff members will be happy to help, or if you’re shopping online add our easy exchange service to your basket where we make returns and exchanges absolutely effortless. We hope you’ve found this information useful and should you still have questions please feel free to contact us. barbour, Country Clothing, Dubarry, GORE-TEX, hereford, hunter, Le Chameau, Philip Morris, Philip Morris & Son, shooting, summer, wellington boots, winter. Bookmark. We strongly advise a walking boot in this situation to ensure you stay as comfortable as possible especially during a long walk. Furthermore it is also worth considering getting a boot that has a Vibram® sole as they offer exceptional grip on rural terrain. I have provided a link below to our walking boot department if this may be of interest to you. We hope this helps but please do not hesitate to contact us if you require any further assistance.